Acne is a skin disorder that will affect 17 million Americans at some point in their lives. Acne happens when hair follicles become clogged with oil and dead skin cells. These hair follicles are linked to our sebaceous glands. An oily substance called sebum lubricates the hair and skin and is released from these glands. Normally, sebum moves up along the hair shafts and out through the openings of the hair follicles to the surface of your skin. Sometimes, though, your body produces too much sebum. When this happens, the sebum and dead skin cells collect in the hair follicles and become plugged. This creates an environment for bacteria to thrive. The end result? Acne. Given that so many people suffer from acne, there are many common myths about the condition. Today, I’d like to dispel some of the most common acne myths and set the record straight. This is a very common acne myth. I remember being a teenager with breakouts on my chin and forehead. I must have washed my face with a harsh cleanser four or five times a day. 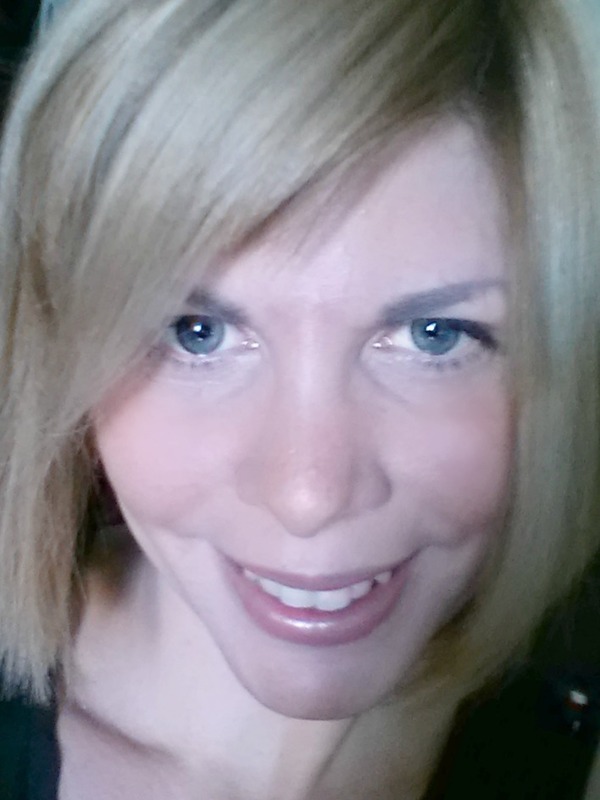 I believed that if I were able to make it squeaky clean, that my acne would magically go away. This is not true. Acne begins inside the pore and dirt is not a cause. Being overzealous about cleansing can make your acne worse. While it may be tempting to scrub harder or wash extra vigorously, this will strip the skin and may cause your pores to produce even more oil. Use a gentle pH balanced facial cleanser twice daily for best results. This is another myth. Acne does not discriminate when it comes to age. We often think of acne as being something that happens to teenagers because it is common among this age group, but the reason it happens at that time is because of hormonal changes. Pregnant women, women experiencing perimenopause and menopause also are more likely to experience acne because of hormonal changes. Additionally, acne can be hereditary and may appear at any time. Have you heard this one before? Many people mistakenly believe that heading to the steam room or working out extra hard will cause you to “sweat away” your acne. Others believe that you can detox your skin this way, resulting in a pimple free complexion. Acne occurs in the sebaceous glands, which are not the same as the sweat glands. No amount of sweating will clear your pores of debris. If only it were that simple. Sadly, acne can persist for a long time. It also tends to need some intervention. You do not have to suffer, though. Acne can be treated. Sticking to an acne skincare routine will likely take care of your acne once and for all. Consistency is key and results may take a few weeks. If your acne persists, you may want to seek the advice of a dermatologist. Don’t worry! You can still indulge in your favorite chocolate bar or greasy fries from time to time without them wreaking havoc on your skin. This has been a common acne myth for many years and it is simply not true. While eating excess sugar or foods high in sodium or iodine can make existing cases of acne worse, these foods are not the cause of acne. The only food we know from current research that may be a cause is dairy. We’ll take a look at that one in a future blog post. 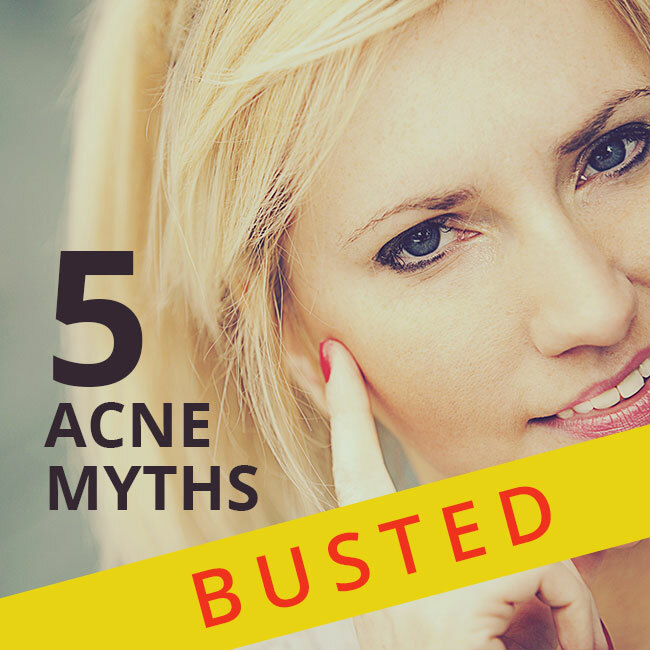 Now that we’ve busted some of the most common acne myths, are there others you have heard over the years? Did any of ours surprise you? Let us know. We’d love to hear from you.